I got hep C when I was very young, at 14. I remember it clear as day. There were a handful of us youngsters living in a unit in Glebe, just doing our best to survive. By this stage I’d been doing things my own way for about 6 years, having left home aged 8 or 9, leaving behind a father who was violent and cold — a hard man. I was walking down Glebe Point Road when suddenly I felt totally exhausted. I could barely put one foot in front of the other. I got to a phone and rang someone to ask them what I should do because I had no idea how to deal with it. They told me to get to a doctor, so I did. I was so weak I passed out in the doctor’s rooms. I was jaundiced — my skin was yellow. The doctor took blood and asked me if I was an IV user. I said I was. I had started injecting heroin around 12 after a year or so snorting it when an older user told us kids we were wasting it by not using a needle. The doctor said he thought I had some type of hepatitis. The test came back “non-A, non-B hepatitis” — which is now called hepatitis C.
The doctor told me to drink plenty of water and rest. I followed his advice and the yellow skin settled down eventually. I felt not so dead tired, but I never went back to the energy levels I had before. Still, I adapted and life went on. I was told that I got hep C from using drugs IV, that it was passed on blood to blood. I kept using but I had to learn pretty quickly how to use responsibly to make sure I didn’t pass hep C onto anyone else. I told everyone — don’t use my fits, the risk is too great. I told people about cleaning fits with bleach. I never let people share my equipment and I never shared anyone else’s. My twin brother had also got hep C. He was a personal trainer and very healthy. He had never had any symptoms from his hep C. When he was tested and came up positive, his doctor insisted he go on treatment straight away. We’re talking the old treatment, that is 12 months of interferon injections plus ribavirin tablets. I watched very closely to see what he went through. The treatment literally aged him about 10 or 15 years. He looked different after the 12 months of treatment. His hair went grey, his skin went hard, he got wrinkles, he had a whole body change. Yes, he cleared it, but it really knocked him around. He was a different person. I feel like he was used as a guinea pig, that it wasn’t necessary that he go on treatment at that time. His liver was fine, he was fit and energetic, he felt great. They shouldn’t have put him through that process. He really regretted going on treatment at that point. I mean, the cure was worse than the problem. After seeing all that I thought: “No way I’m getting on that.” I just carried on, with my liver becoming more and more damaged. When I heard new treatments were coming, I got interested again. I connected with NUAA and kept my ear to the ground. I put my hand up for trials on new medications, putting my name down everywhere — even in different states. I went to St Vincent’s to liver specialist Professor Greg Dore’s clinic. I literally harassed him to get on a trial. I was gutted. I can’t tell you how shattered I was. I was actually off the trial because my liver was too damaged. I really took it to heart and got the shits with the whole thing. I stopped thinking about it for about 12 months. When, finally, there was talk in the media that the new treatments were going to be available on the public Pharmaceutical Benefits Scheme (PBS) to make them affordable for all Australians, I decided I’d do it. If passed, this would mean that instead of costing around $100,000 for the medications, my chance at a cure would be funded by the federal government and cost me under $20. And talk was, the new meds were nearly 100% successful. I kept an ear out and I got myself back to Dore. On March 1, 2017, the meds were approved for funding on the PBS. And that was the date on my script. I knocked down the door. I felt like I’d won Lotto when I got my first month’s medications. I got the script filled as soon as I left the Liver Clinic. I remember leaving the chemist, so excited. I did worry about side effects of the new medications. After all, knowing things had changed and trusting they’d changed were two different things. But I decided to take people at their word. And it really was ok. I did feel a bit tired out in the first couple of weeks, but it was just my body getting used to the medications. That went away as my body adjusted. My doctor told me I had to be on the meds for 6 months because I had a sclerotic liver. My ALTs were in the 30s. That meant that my liver was so damaged with scar tissue that my liver was literally hard. After a month on the meds, I had my first blood test. I had already got rid of hep C! I still had to complete the treatment, but I was rapt. You know, I wasn’t really sure how much hep C knocked me about till I was cured. You can’t know what is hep C and what is life, or getting older, or a lifetime of drug use. But once I got rid of it I knew — hep C had really held me back. I used to get waves of tiredness that would stop me in my tracks. I got rid of that. It was not normal tiredness, it was hep C tiredness, a totally different thing. I could fall asleep in my chair any time of the day. I used to have to have a sleep at lunchtime every day. I don’t do that anymore. I also used to get pains in my liver — it was really tender because it was so hardened. That stopped. Now I am cured I have finally found out how much hep C was affecting my life — and it was massive. My advice to anyone who isn’t on hep C treatment is this: You cannot get on treatment quickly enough. Don’t delay. Don’t wait. Don’t let old stories or phobias stop you. It’s all completely different today. The drugs are much better and they work. If you have any doubts at all, get connected with NUAA and get your questions answered and your fears sorted out. 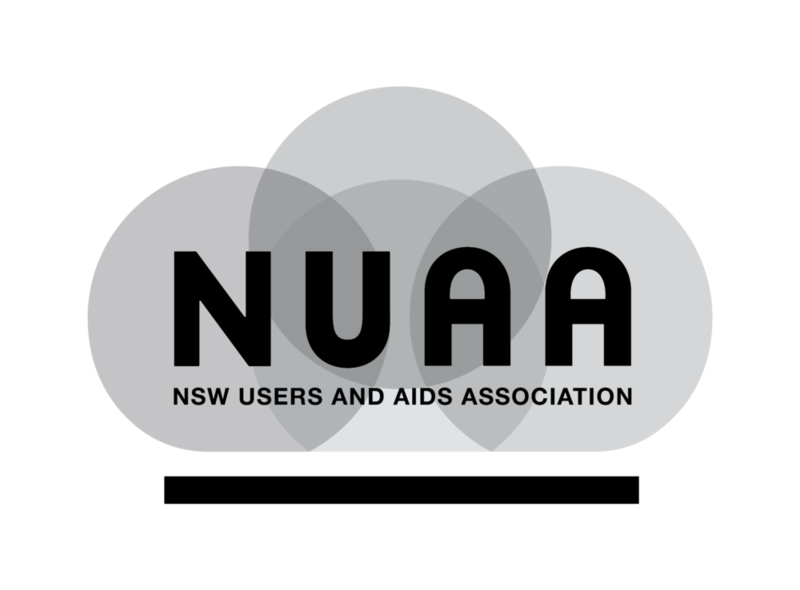 I recommend NUAA because it is at users’ level. You won’t be judged. The people at NUAA understand. They know, because where ever you have been, so have they. Don’t over-complicate it, just do it. Your life will change for the better.